This time we're going to discuss each Channel in turn. 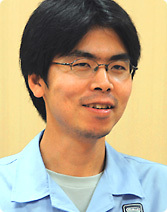 We have a couple of new faces, so Kawamoto-san and Nogami-san, could you tell us what aspects of Wii you were responsible for and what you worked on before that? I was the director of the Photo Channel, the Forecast Channel and the News Channel. Before working on the Wii project, I directed Brain Training and Brain Training 2 for the DS. I was one of two directors of the Mii Channel on Wii. Before that, I worked as the director of Animal Crossing for the DS. 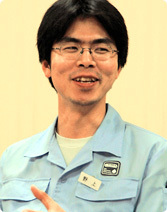 Kuroume-san, as the overall coordinator of the Wii menus, will be joining the discussion again. Let's begin by discussing the Mii Channel. Can you tell us where the idea for the Mii Channel came from, and how it came to be included as one of the Wii Channels? This is the feature for the original Wii software that Mr (Shigeru) Miyamoto referred to as "kokeshi" (traditional cylindrical dolls), isn't it? That's right. It's an idea that Miyamoto-san had wanted to realise for some time. The original plan was to develop three games in which the same characters designed by the player would appear. The Mii Channel is that concept taken beyond those three games, and broadened to encompass the entire Wii. 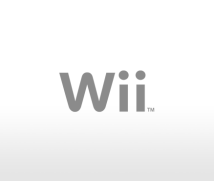 The decision to include the Mii Channel among the system functions was one which was taken, if not recently, then at an advanced stage of Wii's development. Kuroume-san, you were involved with all of the system functions. When the Channel features were nearly finalised and you learned that an entirely new channel for creating caricatures would be included, did you not feel that suddenly an uninvited guest had arrived at your front door? That's exactly how I felt! At first, I was completely unable to grasp how it would fit in. Since it had initially been developed for a different purpose, I never would have imagined that it would become one of the Channels. In truth, I was fairly convinced that even when the decision to include it was made, that it wouldn't actually happen in the end. But we were actually serious about it! I remember thinking: "They really are serious!" (laughs) Both you and Miyamoto-san were completely committed to the idea. Miyamoto-san was always talking to me about making something like the Mii Channel. At that time, I found out about some prototype software for the DS that allowed the user to edit character faces. I thought that this might be just what Miyamoto-san was after. When I showed him the prototype software, his reaction was positive so I thought that we should try developing it further. The project began when I sent the staff responsible for that DS software to work with Nogami-san. That's right. We were basically ordered to get the project into shape in 2 months, so there was no time to lose! With the timetable for development to stick to, along with everything else, we were working around the clock. Luckily the original idea on the DS had been a sound one, so we were able to complete it successfully. What sort of challenges did you face? Up to that point, I had been used to working on projects which had involved expanding on ideas which I had originally conceived. This time around, however, I had to pick up something which had not been my idea to start with, and then run with it. I found that difficult at first. Working on a project where I have had the original idea, I can be decisive about how things should be done. With this project, on the other hand, I found myself unable to make these decisions myself and went to other people for advice. But this led to a situation where there were too many ideas floating around. Drawing these together took some time. Did you feel like you were perhaps borrowing someone else's idea, one that was originally developed for the DS? Ah yes, of course! (laughs) When the Japanese developers made the prototype software for the DS, they only programmed in facial components for Japanese people. But of course once it became a Wii Channel, it needed faces of people from all over the world. You also collected lots of pictures of non-Japanese people, didn't you? I studied a lot of faces. I remember seeing noses that were completely different from those of any Japanese person! In all seriousness, there are facial features which Japanese people aren't really able to imagine. Studying those pictures, I realised this. We also removed a lot of facial parts as we were trying to be careful not to put in too many options. We had to decide which to remove and which to retain. Making up a face just by selecting different parts is an easy way to do it, but actually if there are hundreds of different options to choose from, you can be at a total loss over which one to pick. Right. That's why we made sure we didn't make too many options for the facial components, although we ensured there was still plenty of scope for variation. Once we had it completed, we had various people test it, and fortunately the feedback we got was positive. How about feedback from non-Japanese people? That seemed positive too! (laughs) I heard that at one of our European subsidiaries, the staff were playing around making a face that looked like their boss. He caught them and got really angry at them! It seems it was too close to his real face for his liking! The caricatures of you are getting better all the time! Everyone is trying out various facial components to find the best ones to use for Iwata-san's face. The look-alikes of Iwata-san are really coming along! But we were never trying to create completely realistic faces. We were careful not to put too much emphasis on achieving realism. During testing I realised that, while people might do their best to get the caricature of a celebrity as close to the real thing as possible, it's different when it comes to themselves or people they know. They aren't so concerned about achieving absolute accuracy; rather, they are satisfied with capturing some of the character of that person. That's why we narrowed down the number of options, without completely losing the variety of available facial components. And of course, making these characters is not the end. These Mii characters can then appear in games, for instance Wii Sports. That's right. As I mentioned earlier, from the very start of this software's development, we wanted to allow the characters created by users to appear in the games. In fact, as long as the software developers make the games compatible with the Mii system, these characters will also be able to appear in the games they produce. One more interesting thing is that the Mii characters do not always feature as the main characters in the games. You can also find them popping up as faces in the crowd. For instance, in Wii Sports, a Mii you made a while ago and had forgotten about might turn up one day in the spectators' seats. Also, since you can store Mii on your Wii Remote, you can bring your Mii to use on your friend's Wii! There is also the "Mii Parade" to look forward to. Could you please explain that? To put it simply, Mii Parade is a system that uses the network to allow Mii characters created by many people to mix and mingle. You can line up Mii characters in the "Mii Plaza", but at the start the only Mii characters you will find are those you have created yourself. Over time, however, using the WiiConnect24 system, other users' Mii characters can come and visit. In the same way, your Mii can make an appearance on someone else's Wii, although this won't happen unless the user has authorised it. The user can choose whether or not to allow their Mii to come and go on the network, so the only Mii characters that will appear on someone else's Wii are those where the user has permitted it. You could have a Mii which has come from the other side of the world! You could. Your Mii can pop up anywhere. I should point out, though, that your Mii will never go missing from your own Wii. This is a very ambitious experiment. What made you decide to attempt it? We always had the intention of allowing the characters created for one game to appear as guests in other games. However, the decision to allow the interaction of Mii characters across the world was inspired by WiiConnect24. Personally, I am a really big fan of that kind of feature. I came up with this particular idea while I was thinking how WiiConnect24 might be used with the Mii concept. The most basic motivation was the belief that, however fun it may be to make your own characters, there is a limit to how enjoyable it can be when just one player is involved. I thought it would be a shame if people stopped using the Mii Channel once they had created, let's say, 10 look-alike characters of their friends and family. However, if more and more Mii characters from users they had played games with, or from anywhere else around the world appear on Wii, I think this will make people want to create new Mii characters. They might get ideas from other people and think: "Wow, you can make a Mii like that!" Then they will try to improve their own Mii. I think people will be continuously motivated through this interaction with other users. How can I put it...? I think there is a limit to the amount of this kind of motivation and inspiration which can be put within actual games from the start. But if, for instance, a user finds a new way to play a game, they can then let other users know about it. In this way, there will be an endless supply of ideas being generated from all over the world, and I hope that this energy will build on itself. That's exactly the reason why we made so much effort to create a system which allowed data to be transferred between Wii consoles. So far, we have had an encouraging response. I for one am really excited to see how this will grow and develop. Me too. I'm hoping that more and more Mii-compatible software will be developed. My ambition is to get all the Mii characters across the world interacting! (laughs) I also think that there will be people who find they have a particular talent for creating look-alikes. At school, if you wanted a particular picture drawn, you would go to your friend in class who was good at drawing. It would be great if there was the same kind of communication through Wii, where you ask another user to create a look-alike of a certain person. Kuroume-san, has that initial feeling of Mii as an uninvited guest disappeared? Yes, well...I should just make it clear that I didn't really feel that the Mii Channel was an uninvited guest. It was just a little sudden, that's all! No, I really do understand and appreciate the significance of the Mii Channel.